Brooklyn and David. Jaden and Will. Stylish men have stylish children. However, dressing boys is a challenge for fashionable parents everywhere. Designer and founder Samantha J. Taylor believes that everyone needs Unruly Blue. In 2011 Samantha set out to meet the demand for elegant, impeccably tailored clothing for young men. Clothing painstakingly designed; clothing made to exacting standards with superior materials; clothing that dignifies children. Melding the spirit of youth and whimsy with timeless refined details, UB disposes of the idea that clothing is disposable. In the world of UB, ‘polyester’ is a dirty word. From their three-piece suits, to their cotton formal shirts, to their 100% cashmere sweaters, UB refuses to compromise on quality. 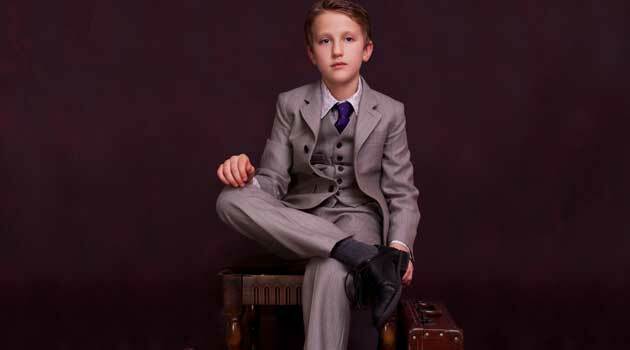 But many labels are beginning to design high-end formalwear for boys, so what makes UB unique? “We try not to use blue,” says Samantha. “There are so many other colors for boys to wear. Blue is boring. 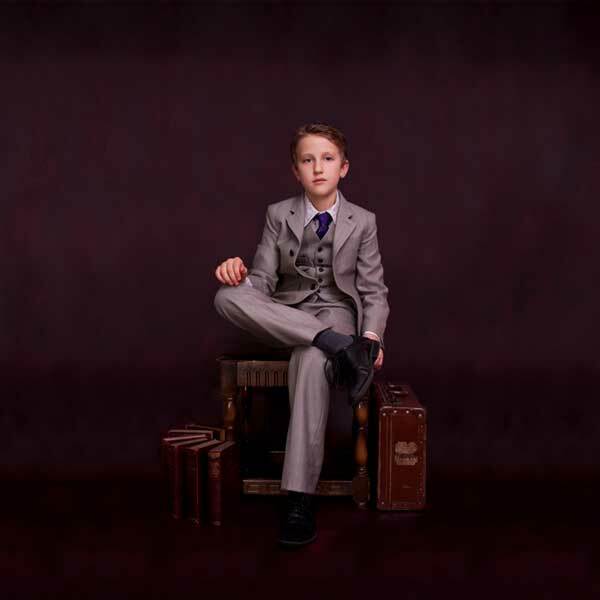 We take an Unruly approach to our designs for boys.” UB sources a colorful array of natural textiles from premium mills around the world, including Art Fabrics from the legendary Liberty of London, and classic Harris Tweed. Parents and stores want in on the UB revolution. Unruly Blue makes its London debut in the Selfridges & Co. flagship store on Oxford Street, which will present its next collection (Autumn/Winter 2013) in November 2013. Thanks to Unruly Blue, no fashion-conscious father will ever again trouble heaven to demand a suit for an eight-year-old boy. For more information on stockist and products, please send an email to [email protected] or visit their website at www.unrulyblue.co.uk.